Looking for a pair of headphones that are specifically designed to replicate music as it should be heard with the ability to satisfy experienced ears? 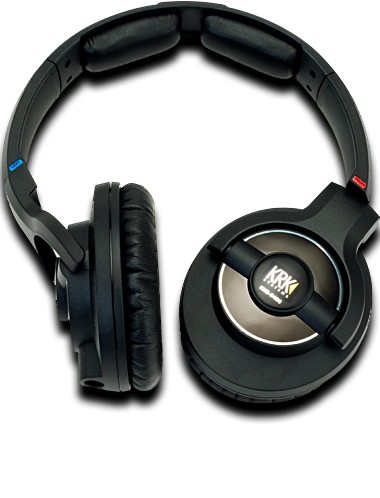 Get your head around this: KRK has always been focused solely on accurate monitoring. 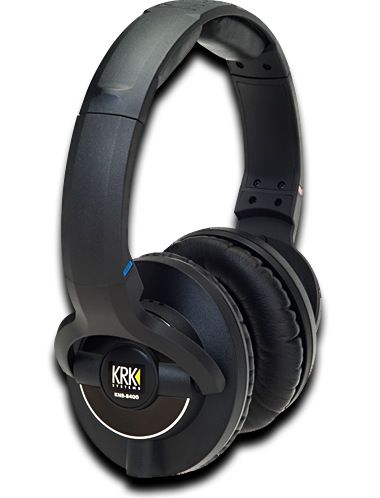 The KNS 8400 headphones, with their ability to reveal exactly what you have on the tracks, are an ideal choice for critical listening. Being able to discern the subtlest differences in pitch, timbre and tone helps you to get it right every mix, every take, every performance. Isolating memory foam in the ear cushions delivers improved low end response and because they gently conform to your unique head shape you'll be comfortable wearing them all day. As more music is being made in bedrooms on computers, a cost-effective monitoring solution that offers a more "neutral" sound for DJ/producers compared to standard DJ cans is a must, and KRK seek to tick that box with this line of phones. If you’ve ever felt a need for a clear, crisp and virtually distortion-free reference of your mix — don’t look any further. The KRK Systems monitor speakers have been the toast of pro audio geeks and studio producers for decades and we're overjoyed that they've decided to bring the same caliber of execution and performance to the headphone category. ..the KNS-6400 would be preferred for instrument and vocal overdubbing applications. Their increased midrange focus and lack of distracting bottom end thump helps singers and instrumentalists focus on pitch and melody. I found that performers liked both KRK models for overdubs (split 50/50 between KNS 6400 and KNS 8400). 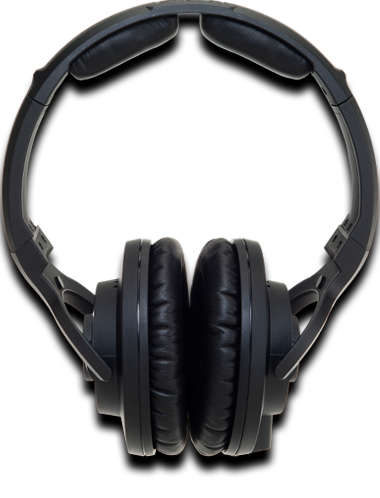 These headphones provide a noticeably different listening and soundstaging experience than other headphones in their class, one that's likely to win over musicians from some other headphones costing much more. With a very strong upper mid range…the low bass and extreme high end are certainly present…their comfort and punchy sound should make them very useful in a tracking situation, as all rounders for the studio, they definitely deserve consideration. On songs with seriously deep low end, the KNS 8400 does not distort, even at maximum volume. While its low-end response is not thunderous, it still accurately provides a sense of depth and it does so cleanly… for engineers and musicians who want an accurate sonic depiction of what they are putting down, the KNS 8400 is up to the task. 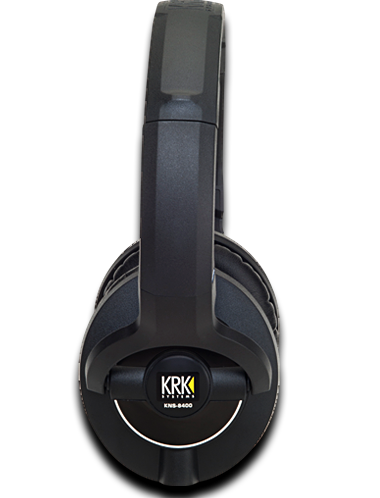 Born from KRK's 25 years of experience in the development of high end pro studio monitors. A new standard in lightweight comfortable headphones, for those long sessions. A very accurate, natural and wide frequency response. Extended bass frequency definition without boominess that reproduces the low end of your music accurately and clearly. Highly durable 2.5M single-sided, oxygen-free copper straight cable.